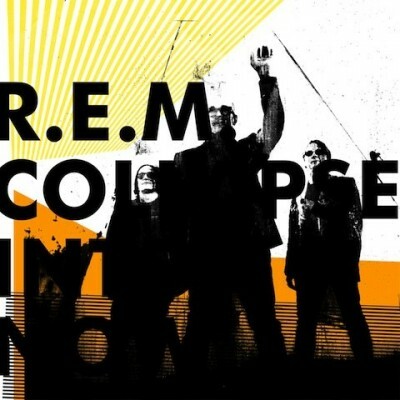 07/03/2011 was the release day of 15th REM’s cd Collapse Into Now (Warner music, 2011), an album that goes further in the same path designed by the 2008’s Accelerate. A path that took the three-men band from Athens, Georgia to a more aggressive and angry sound than their previous works. The length of the 12 tracks (all about 3 minutes) and their strength may give the impression of more superficial contents, but it’s all the other way around. The usual attention given to the lyrics by Michael Stipe & co. becomes clear listening to songs like the first hit single Überlin or Oh My Heart which is a literary follow up of Accelerate’s Houston, even if Mike Mills, the band’s bassist, stated that “it’s more a personal record than a political one”. The album also features, amongst others, the two precious participations of a couple of REM’s old friends as Pearl Jam’s front-man Eddie Vedder – backing vocals in All The Best – and Stipe’s personal friend and rock icon Patti Smith – Discoverer and Blue – who opens and closes the circle of this Collapse Into Now.